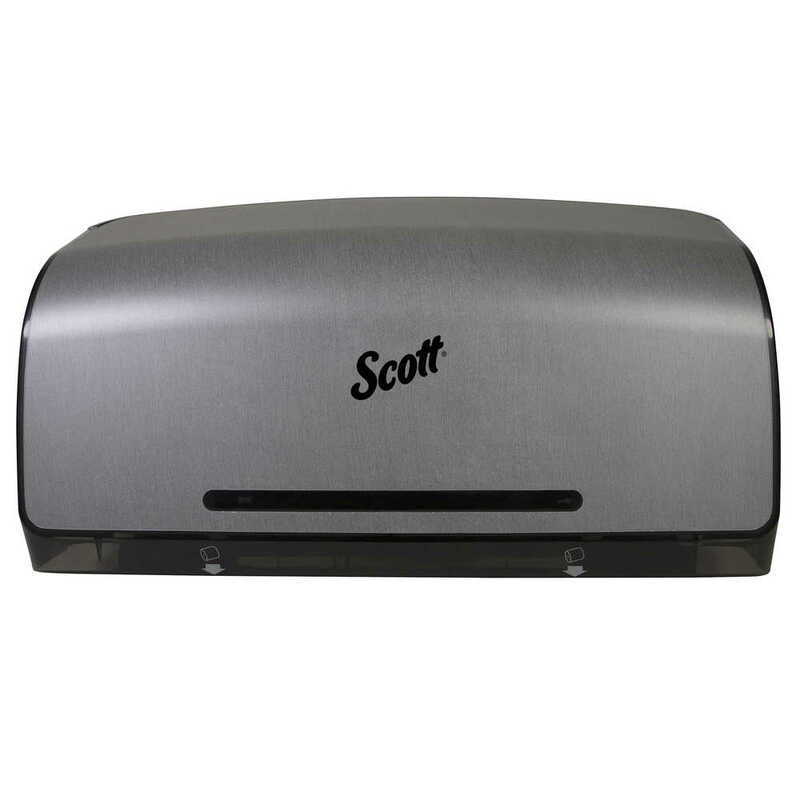 20.25"x6.25"x11.60" 20.25" x 6.25" x 11.60"
Scott Pro provides state of the art solutions to maximize productivity. 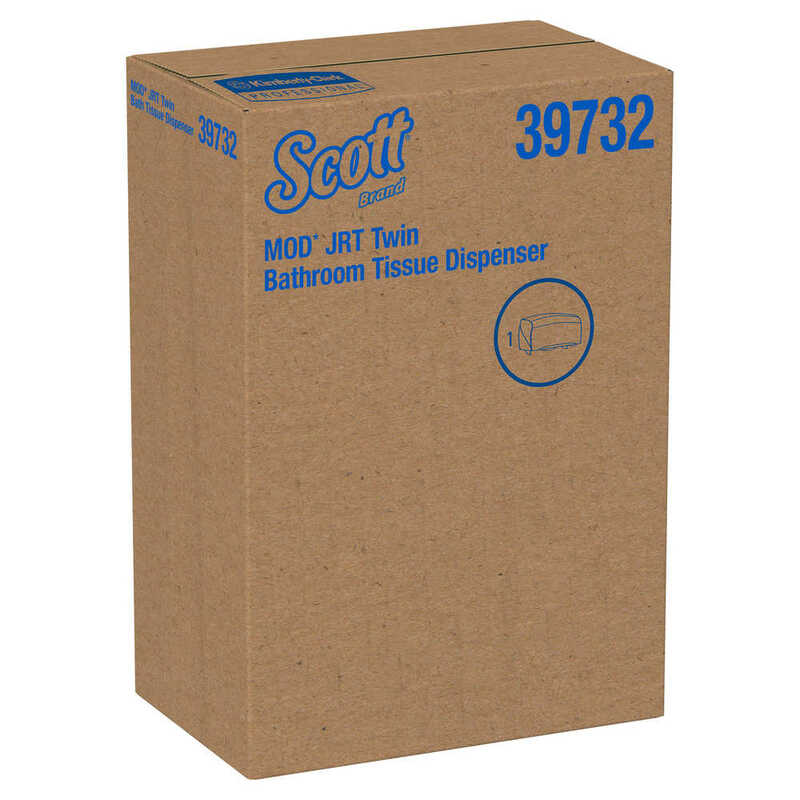 When you’re in charge of a busy restroom, the MOD JRT Twin Bathroom Tissue Dispenser by Scott Pro is a smart choice. It’s a high-capacity system ideal for high-traffic areas. It holds two large coreless jumbo rolls of toilet paper (by either the Cottonelle or Scott Pro Brands), so it reduces maintenance time with fewer refills and no core to throw away. The high capacity rolls means you’ll refill less often, saving time. 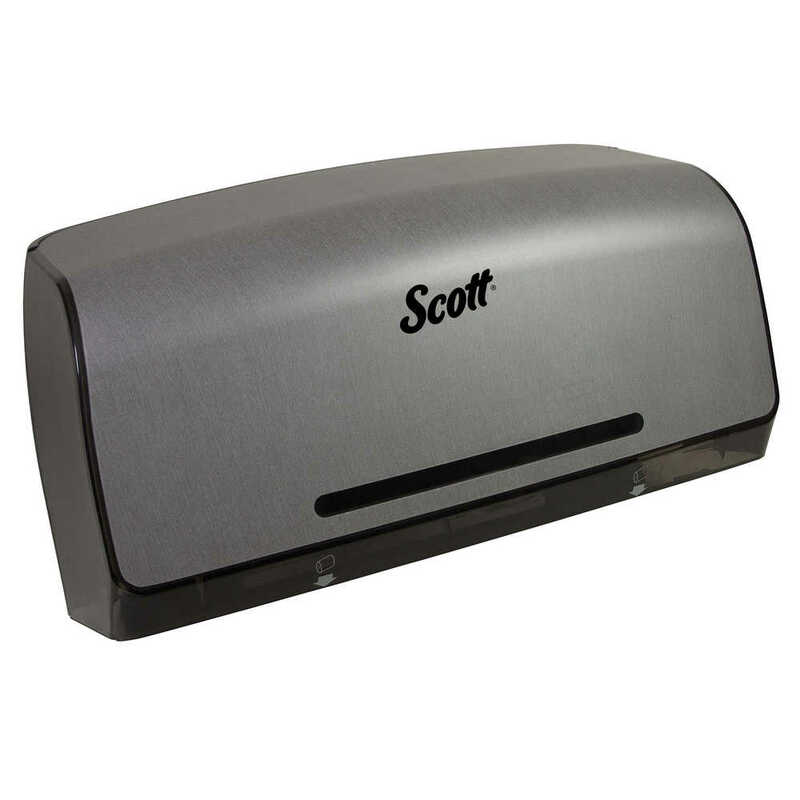 The easy-to-load toilet paper dispenser features no door with keyless entry and tear-off bars on both sides. When properly installed and when using recommended product, the dispenser meets the ADA Standards for Accessible Design.